The single appeared on the Boy and Best of 1980-1990/B-sides albums. The b-side was the Three EP version of Boy/Girl performed live at the Marquee Club in London. The cover of the single features Peter Rowan who is the brother of Derek 'Guggi' Rowan. Rowan was to appear on the cover of several albums and singles. 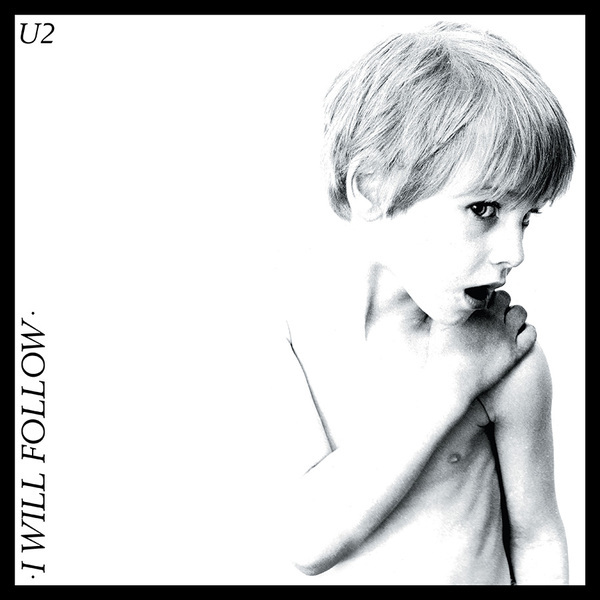 I Will Follow was performed when U2 made their debut on the BBC's Old Grey Whistle Test on February 28, 1981. The song was also performed for U2's first major appearance on American television, The Tomorrow Show with host Tom Snyder. It also appeared on the EP and video Under A Blood Red Sky. The live version for the EP was taken from the Rockpalast '83 concert in Lorelei, Germany on August 20, 1983 rather than from the Red Rocks concert. A live version can also be found as a b-side on the Gloria single. U2 performed it in Holland on May 14, 1982 on the television show Countdown In Concert. In July, Island Records released this live version of I Will Follow (b/w Gloria) in The Netherlands and Germany only. This became U2's first hit in Holland and would peak at No. 12 in the charts. A live version from the September 18, 1980 concert in Totnes appeared on the compilation One and Only: 25 Years of Radio One. The song was given new life when the band put it into the set during the PopMart tour, companion piece to MOFO. The song also became U2's first soundtrack appearance, in the teen-cult classic The Last American Virgin in 1982. It has been covered by several artists: by Doug Pinnick of King's X on The Mother Of All Tribute Albums, by Spahn Ranch on We Will Follow: A Tribute To U2, by String Q on Strung Out On U2, and by Dustin on Faith Of Our Fathers. In addition to these recorded versions, Collective Soul with Butch Walker performed the song live at Rockfest 99 in Kansas City, Missouri. Collective Soul also performed the song at Woodstock '99. Third Eye Blind, after opening for U2 on several dates on the PopMart tour, added the song to their set list. Hootie and the Blowfish have also performed the song live. Edge, Hot Press, July 19th, 1980.
began when I moved to Ontario in 1980.....I had never heard of U2 but this was the first thing I heard when I arrived. And I don't think anyone I was with heard it in quite the same way. BOY was the first. I have followed (no pun intended) the career of these boys over the past several years, seeing them every time they come to town. (it is getting increasingly difficulty to obtain good seats) I truly thank U2 for seeing me through the happy and not so happy times in my life......keep doing what you do and we will keep coming and buying! !